Major projects getting underway include the Dublin MetroLink, St James's Gate urban quarter redevelopment and the fit-out of Facebook's new headquarters. 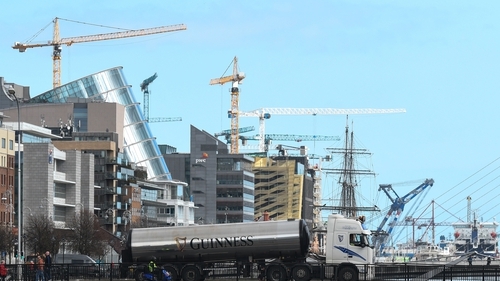 But as a "hot" construction market, cost price inflation in Dublin is expected to outpace this with a 7% increase forecast for 2019 as the construction sector remains undeterred by Brexit. Other markets in Europe that are classed as "hot" include Frankfurt, Berlin, Warsaw and Vienna, as they compete to attract business relocations from London. "But the longer-term implications of Brexit remain a lingering threat and could yet douse cold water on these hot market conditions," Mr Kelly cautioned. "With demand relatively high across the continent, and investment only likely to continue this upward march, the shortage of skilled labour and supply chain capacity in Europe is becoming increasingly problematic - driving significant competition on wages and inflating construction costs further," he added.